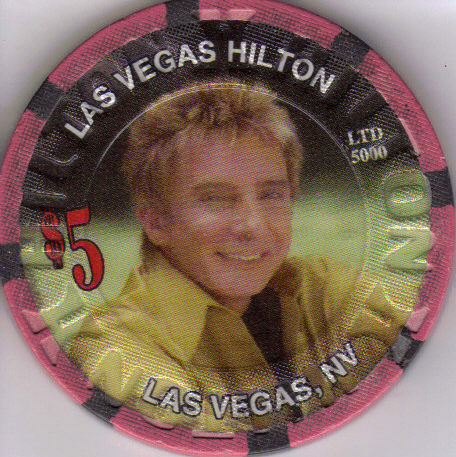 This is a Limited Edition 5000 5 Casino Chip issued by the HILTON Las Vegas for BARRY MANILOW Music and Passion. Chip measures 1-/2" in diameter Used / Circulated In Excellent Condition Send email if you need additional details about this chip. 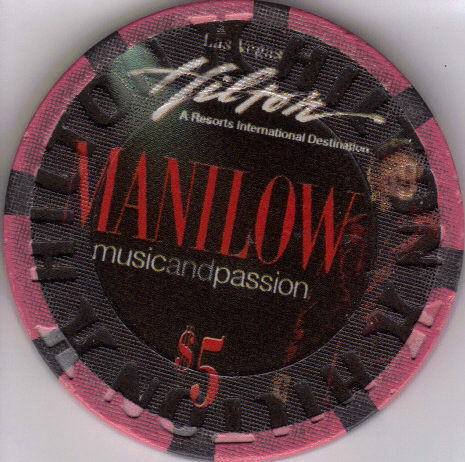 Buyer is responsible for 3.95 shipping to anywhere in the USA. Send email for international shipping rates. Do check this store for lots more Las Vegas Collectibles. Thanks for stopping by!